I loved this book. I know that I start off a lot of my reviews with that, but I'm doing it again because I genuinely loved this book. I went in with very little expectations and emerged with such happiness and many tears. I've been seeing a lot of negative reviews for this book and I understand why those people rated this book that way. They had different expectations of how this book was going to be and those expectations weren't met. I didn't hold those expectations. I knew that this book was only going to be a novella that bridges the gap between the first trilogy and the second. I think it did a good job at doing that. We got more of a conclusion to the first trilogy. The way that the last book wrapped up was obviously very nice and I couldn't have asked for anything better, but I think we all knew, deep down, that it wasn't going to be as perfect as that. 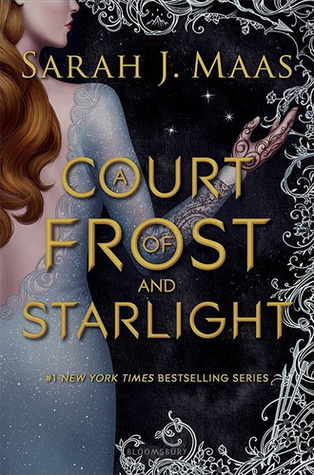 This book showed a lot of the healing process and I was thrilled to be able to see more from Rhys and Feyre's perspectives. There was some political talk to set up the upcoming books, but this book was also just about the solstice and family and everything good. I absolutely adored it. I didn't want a long fleshed out political novel, I wanted this cute book where my babies were going to be together and having fun. Feyre and Rhys, once again, were just so cute. I love their romance and, while I'm sad to see our time from their perspective coming to an end, I'm just glad that we got this bonus book in there. That being said, I am absolutely ready for the next one. The sneak peek that we got at the end was phenomenal. I was very much hoping that it would be these characters that the next book's POV was told from. The ending line to the sneak peek almost made me jump out of my bed because I'm so excited. I can't wait to see how that all plays out because I can bet there will be drama and action and so much more. Overall, this book was exactly how I wanted it to be. It was cute and lovely yet also showed that not everything is perfect like we'd expect. I implore readers, however, to not go into this book thinking it will be as action-packed or intense as the other books in the series. Because, at the end of the day, it's a novella. It's not a full-fledged installment. I'll just leave it on this note: I loved it and I'm so excited to see how future events play out.